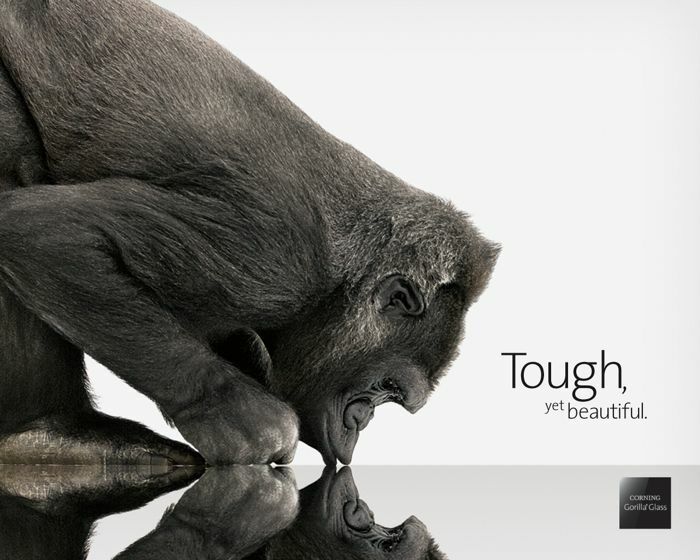 Corning, the popular cover glass manufacturer for smartphones and tablets in today’s world which we called it as a Gorilla Glass, has unveiled a new cover glass for use in smartphones and tablets, the “Antimicrobial” Corning Gorilla Glass at CES 2014 in Las Vegas. This is the world’s first Antimicrobial cover glass designed to prevent bacteria and microbes on your smartphones and tablets. This Gorilla glass is made up of an antibacterial agent, ionic silver, which is incorporated into the glass surface for sustained activity. The main reason for the developing the Antimicrobial Corning Gorilla glass is because there is an increasing share of touch-enabled devices around us every time. Antimicrobial Corning Gorilla Glass can be used in electronic devices such as computers, cellular phones, calculators, telephones, and other electronic display panels. However, there are no details about the smartphones or tablet on which the new Antimicrobial Corning Gorilla Glass will be used. For more details, check out the official website.